Applications are now open for up to 12 scholarships on a 5 year part time PhD programme for UMC theological educators working in Methodist-Related Schools in Africa. Sponsored by the Central Conferences Theological Education Fund of the United Methodist Church and the Innovation Fund of the General Board of Higher Education and Ministry of the United Methodist Church (GBHEM), Wesley House, Cambridge and Africa University Zimbabwe are working together to build a network of African Methodist theologians who can contribute to the development of global theological thinking and practice. 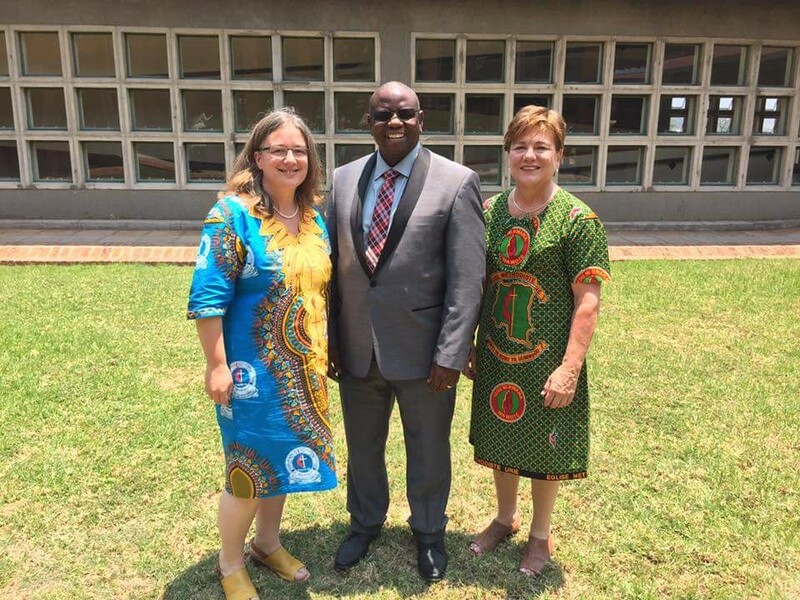 Pictured from left to right, The Principal of Wesley House, The Revd Dr Jane Leach; the Vice Chancellor of Africa University, Dr Munashe Furusa, and the General Secretary of the General Board of Higher Education and Ministry, The Revd Dr Kim Cape.